Cold Pressed Neem Oil With High Purity And Pesticide Grade For Agriculture Use. We are offering an extensive series of Neem Oil. These products are extremely employed in the market for diverse purposes. Function:works as anti feeding, repellant and killer. Application:at the time of pest attack or before attack. Matching to the huge market demands, we are involved in offering best quality of Neem Essential Oil (Cold Press). We extract these oils from natural resources which contribute for their high demand among our clients. We are engaged in Manufacturing, Exporting and Supplying of premium quality Neem Oil. Our 100% pure Neem Oil is an excellent moisturizing agent having medicinal properties. 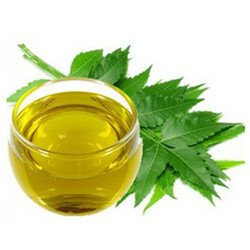 Our Neem Oil is extensively used for domestic purposes and widely appreciated by our clients for features like purity, cold processed, bio degradability and unadulterated. 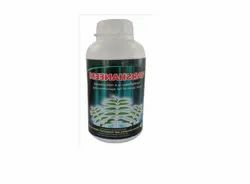 The general class of compounds in neem oil is tritertpenes and having 40 different active compounds are called as tetranortriperpernoids or more specifically liminoids.